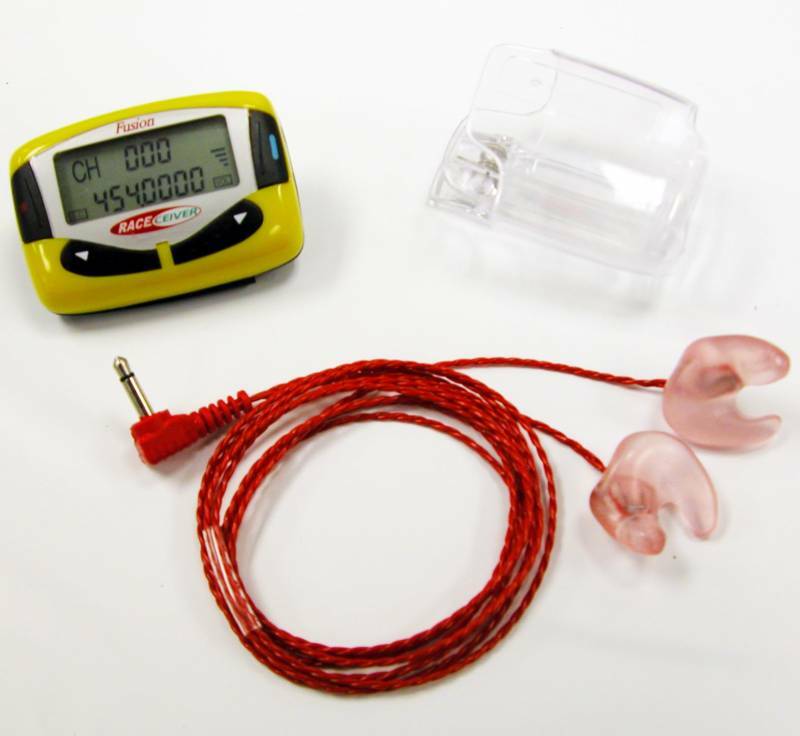 If you have been frustrated with not being able to hear your RACEceiver scanner in your racecar this is the PERFECT kit for you. We have packaged the RACEceiver Scanner along with Semi-Custom Earmolds from Racing Electronic with an extra long cord making this the perfect combination. The new and improved RACEceiver FD1600 Fusion race scanner (replaces the Y1600 Elite) has all the features fans love small size, great price, and fantastic reception plus a huge leap forward in functionality. The RACEceiver FD1600 Fusion still serves as the optimal NASCAR race scanner, but now it has added capacity for virtually all trucks, Indy, Petite Le Mans, and even your local short track! Today, virtually all drivers use frequencies between 450 and 470 MHz. and since the RACEceiver FD1600 Fusion race radio handles all of them, you can put yourself in the driver's seat at any race. The RACEceiver FD1600 Fusion is preprogrammed with 1, 600 channels for frequencies between 450-470 MHz, and will allow you to manually scan through the channels, 1 or 100 at a time, to the channel that you want to monitor. The RACEceiver FD1600 Fusion is designed to listen to one driver at a time, switch instantly to the race broadcast and then back to your driver. It utilizes the industry standard 3. 5 mm jack, allowing the use of a headset. Each RACEceiver FD1600 Fusion package contains a RACEceiver, holster, one AAA battery. The RACEceiver FD1600 Fusion is a must for drivers since it allows race officials to broadcast directly to drivers for safety and efficiency purposes without having the drivers talk back. Racing Electronics Semi-Custom Earmolds extra long cord makes them perfect for use with RACEceiver scanners for load racecar environments. Great performance with no impressions required. Pit Stop USA offers RACEceiver FD1600 Fusion Scanner w/ Driver Earmolds Kit Raceceiver FD1600 Fusion Scanner w/ Driver Earmolds Kit at low everyday prices. Be sure to check out all of our products from RACEceiver including RACEceiver Scanner Packages and RACEceiver Scanners.